If you've never tried massage, learn about the possible health benefits of massage and what to expect during a massage therapy session. Swedish massage is a gentle, with long strokes, kneading, deep circular movements, vibration and tapping to help relax and energize you. Trigger point massage focuses on trigger points, or sensitive areas of tight muscle fibers that can form in your muscles after injuries or overuse. Oncology Massage can help reduce the stress and anxiety of everyday life and those coping with a cancer diagnosis. Massage relaxes tense muscles, increases endorphins, improves circulation & sleep habits and may also help reduce the perception of pain related to cancer and cancer treatments. However, it is key to consult your Oncologist to find out if massage is right for you. Massage is generally considered part of complementary medicine and can be of great benefit when combined with regular Chiropractic care. Beyond the benefits for specific conditions or diseases, some people enjoy massage because it often involves caring, comfort, and a sense of empowerment. 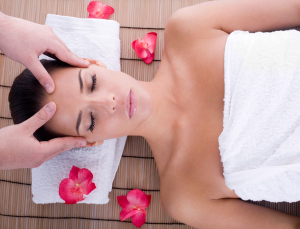 Despite its benefits, massage isn't meant as a replacement for regular medical care. 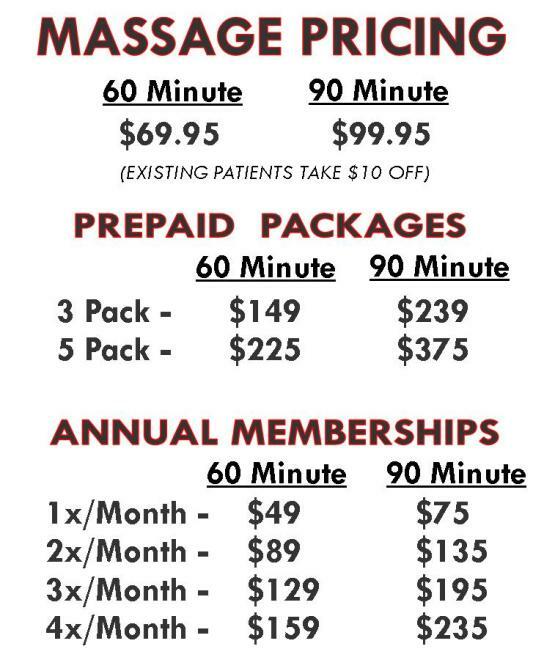 Let your doctor know you're trying massage and be sure to follow any standard treatment plans you have.